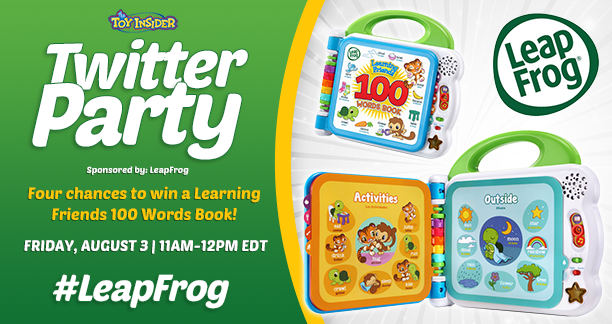 Join me on Friday, August 3, 2018 from 11am - Noon ET as A Geek Daddy co-hosts this week's Toy Insider Twitter Party sponsored by Leap Frog. Leap into educational fun as we chat about some great new learning products for infants and preschoolers. 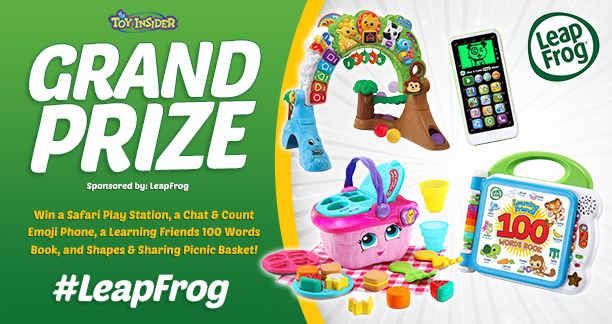 I had some wonderful experiences playing with my children when they were preschoolers with Leap Frog toys and am impressed about how each year the company keeps releasing new products that get better and better every year. My daughter and son both went to sleep every night for a few years holding Scout and Violet interactive plush dolls so our family is definitely fans of Leap Frog. 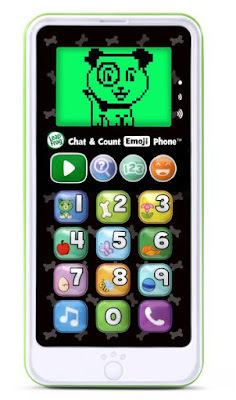 Chat & Count Emoji Phone: Pick up the phone, it’s Scout! Chat with Scout, learn about numbers, watch cute animations and add emojis similar to a real smartphone. Designed for kids ages 18 months-2 years, this playful pretend phone lets kids have conversations with Scout, get voicemail messages, and hear ringtones. Press the light-up number buttons and count along with Scout from 0 to 10.While watching videos, react to them with emojis just like popular social media sites. Press the video button to watch adorable videos about Scout’s day. Learning Friends 100 Word Book: Discover new vocabulary with fun learning friends! Touch the words on each page to hear the animals introduce every word in both English and Spanish. The book features 12 learning categories, colorful pages, three play modes, and 100 different words. 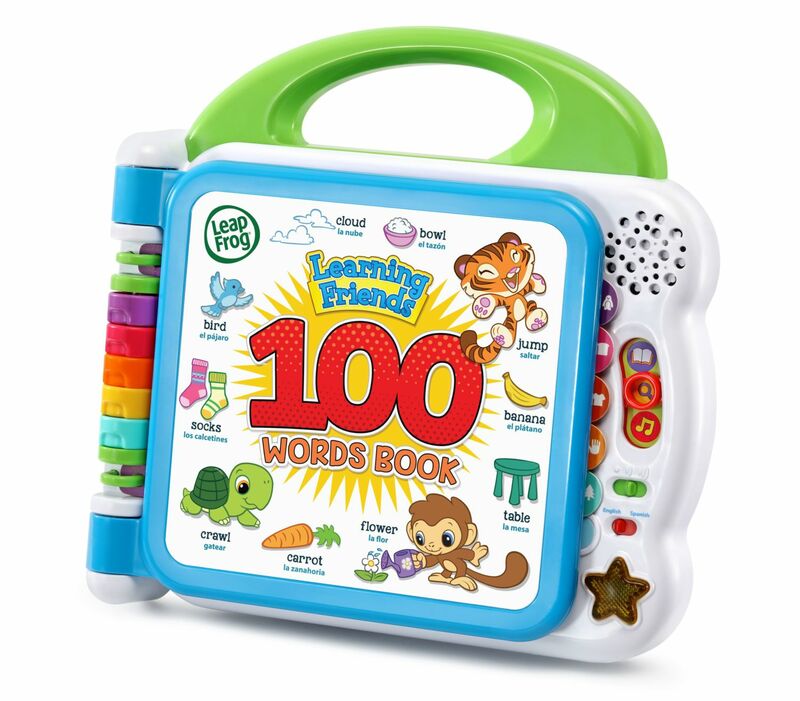 Each page plays words, exciting sound effects, and fun facts. Kids will learn about colors, objects, and animals. Shapes & Sharing Picnic Basket: Go on a pretend picnic and explore food, shapes, and colors. 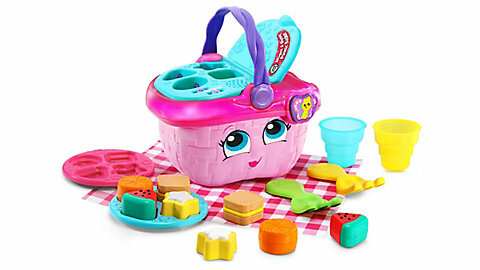 Pack a picnic for two and pretend to snack on yummy treats, then put the pieces back in the basket for fun on the go! Kids can hear the polite picnic basket make food requests, then drop the correct food in the basket for rewarding responses. This adorable basket will reinforce good manners by saying please, thank you, and more. 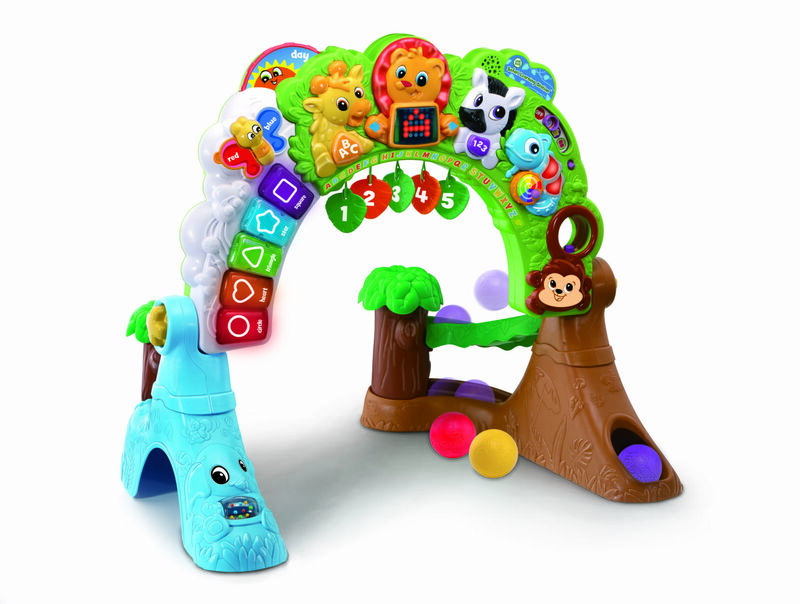 Three play modes include Music, Shapes & Colors, and Picnic Time for a wide range of exciting activities. 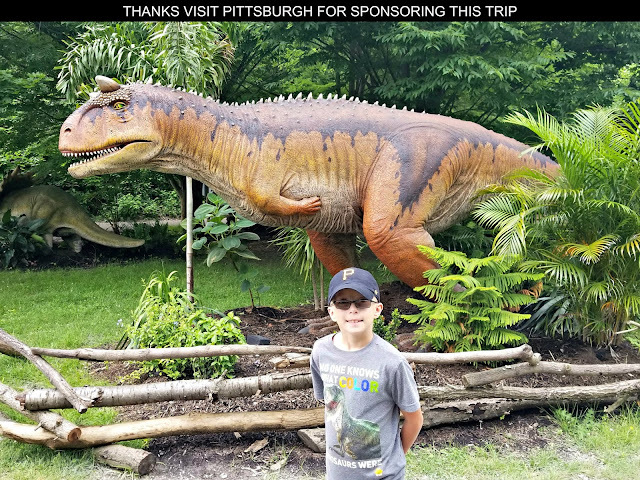 Safari Learning Station: Explore and grow on a learning safari! 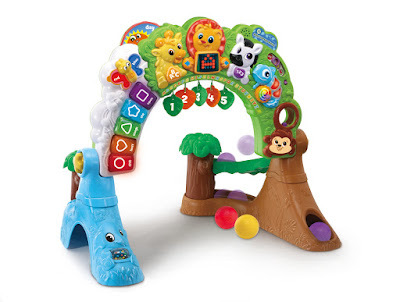 With the Safari Learning Station, kids can explore first words, numbers, shapes, colors, animals, music, and more with an activity center designed to adjust and grow with your child. Change the position of the adjustable arch so little ones can sit, stand, or crawl under it. 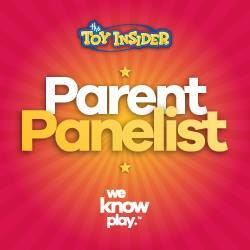 Three play modes include Music, Explore, and Learn. Little ones can press the piano buttons and discover shapes and colors while making music. Push the letter and number buttons on the Giraffe and Zebra and Lion’s LED screen will show you what they look like. During the Twitter Party, we'll be giving away some of these edutainment learning tools throughout the hour. Plus at its conclusion one lucky grand prize winner will win all four! If you have a preschooler in your life this is a Twitter Party you don't want to miss participating in. Make sure to get your RSVP in and jump in during the Twitter Party for a chance to win!